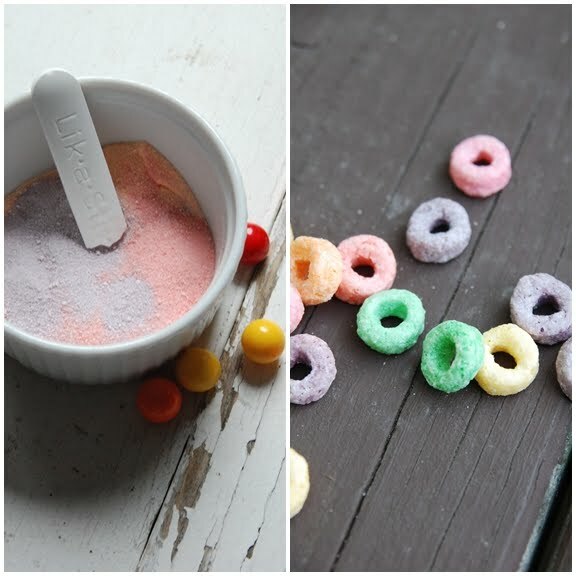 When was the last time you ate the candy you loved as a kid? I picked some up this past week and couldn't believe how fun it was. Yes. Candy is fun. Just try putting some poprocks on your tongue and then make some noise. And then there was the fun dip. Did you know that double-dipping with a foodie is always allowed and sometimes a requirement? Lasagna is one of those “go-to” recipes for my family and something I pull out when we all need some comfort food. What’s comforting to me is that I know this is a dish that everyone loves. People generally assume that Lasagna originated in Italy, although there has been some debate about that since the first recorded Lasagna recipe was in a cookbook written in England! This claim to Lasagna’s origin, however, has been heavily debated. The word “lasagna” comes from the Greek (lasana) or (Lasanon) meaning “trivet or stand for a pot”. The Romans borrowed the word as “lasanum” in Latin, meaning “cooking pot”. So – lasagna is actually named for the cooking dish in which it is made. Lasagna is a hugely popular dish in Canada. It was popular in my family and continues to be loved. When my sister Lynda was 10, she started experimenting with the Lasagna recipe in the red plaid Betty Crocker cookbook that our mom used for most of her recipes. Through the years she continued to tweak it and add ingredients to make it extra tasty. She discovered that it is very important to use good quality cheese for the parmesan and the mozzarella on top. One time our dad used low fat mozzarella and it was a big disappointment. She also cooks it in the oven at 400˚F for 45 minutes and then puts it under the broiler for a few minutes to get the top brown and the cheese a bit crispy. By simply leaving out the ground beef, this recipe also makes a great vegetarian Lasagna. Brown the ground beef and add the rest of the sauce ingredients. Simmer for 30 minutes. Boil lasagna noodles in salted water and cook until just tender (al dente), about 8 minutes. Drain and set noodles in cool water so they don’t stick together. In a bowl, mix egg, cottage cheese, and parmesan cheese for the cottage cheese layer. Place noodles on a 9” x 13” pan. Cover noodles with sauce, and create layers by adding the cottage cheese mixture and then repeating: Noodles, Sauce, Cottage Cheese. For the topping, sprinkle with mozzarella cheese and Parmesan cheese. Bake in a 350˚to 400˚F degree oven for 45 minutes to an hour and then place under broiler for a few minutes to make the cheese crunchy and brown. 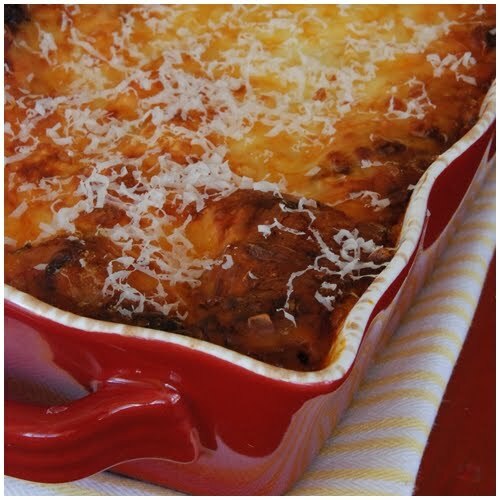 You know lasagna is good when it is bubbling, brown on the top, and your mouth is watering when you are about to take the first bite. It’s easier to cut into nice squares for serving if you let it “rest” for 15 minutes after it comes out of the oven. Ah, candy, what fun! The lasagna looks stunning. A favorite around here, must try this version. Cottage cheese, who knew? I had pop rocks for the first time in years a couple of weeks ago and it was the absolute best! And your lasagna looks stunning. Will be incorporating some of your techniques/ingredients in the one I have planned to make this weekend. Yum! the vinegarette sounds delicious!